Are you a business seeking to hold an event be it a large one or small one, a corporate or more intimate event? 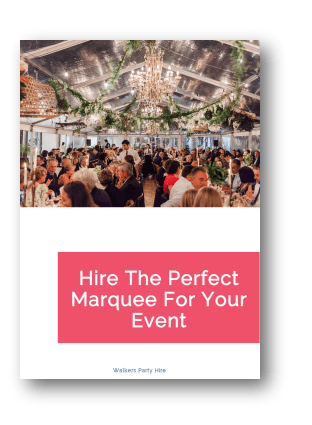 You can get the help you need to make this event successful through a team of experienced corporate marquee hire staff from Walkers Hire. 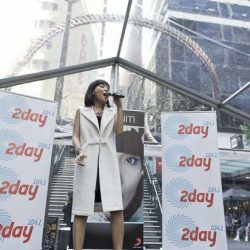 We are Sydney based corporate marquee hire specialists with a complete range of equipment and marquees. At Walkers, we take great pride in our business and work to ensure your marquee exceeds your expectations. 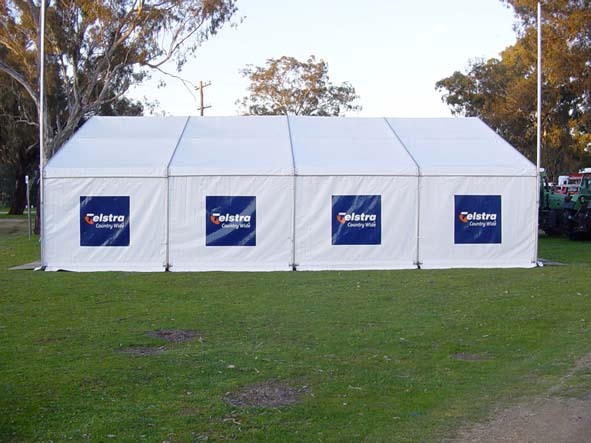 Over the years we have hired marquees for various events including fundraisers at the Governor-General’s residence at Yarralumla. 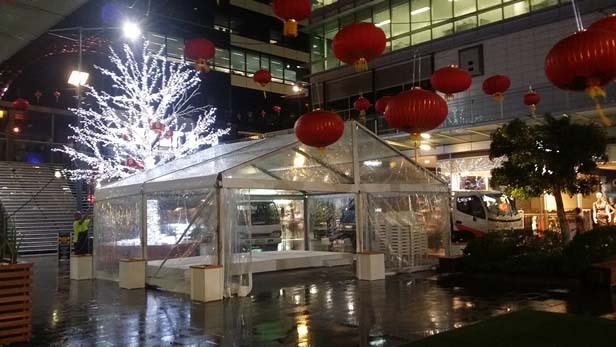 We have also supplied marquees many public and corporate events as you can see from this video and the gallery below. 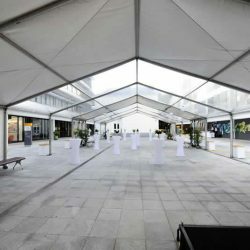 Before selecting the best marquee for your situation, we provide a free consultation service to help you in this process. Selecting a marquee can be as challenging as choosing the right house to build and we go to great extremes to help you in this process. There are many other matters to consider such as meeting areas, speeches, mingling area, dining areas etc, and the associated furniture and infrastructure with these functions. Walkers will conduct an initial interview over the phone to commence the selection process and create a budget for your consideration. After you are satisfied with the initial quotation we will then conduct a site visit with you and assess the site conditions and if there are any changes to the original quote. Once the scope of works are agreed upon we can draw a site plan of the marquee and the layout of furniture to further assist in the clarification of our offer. Things that may affect the site costs include; slope of the land, area, surface, trees, poles, garden beds, driveway access, electricity, people flows and number of people. There are many more things that may effect the site and some are list on our marquee page. There are many extra items that you may need to help make your Corporate Event successful and we carry a lot of these items so you can get them all at the one place. Items such as a stage for the speaker, small enough for one person or large enough for a large team of people. Steps or wheel chair access. 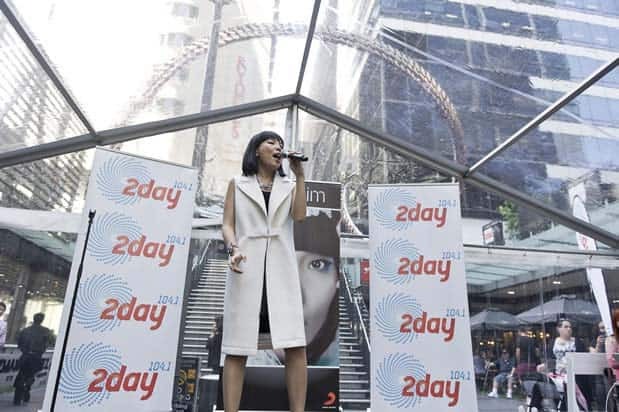 A lectern, a podium for the speaker, a white board for a presentation, a small PA system, partitions, tables, chairs, glassware, tea or coffee equipment, and more. If we don’t have we can arrange for it on your behalf. Our priority for any event you are holding is the creation of an environment that you need regardless of the event purpose. Your use can range for an exhibition, sporting, product launch or hospitality, all these we will handle on time, without fuss and on budget. 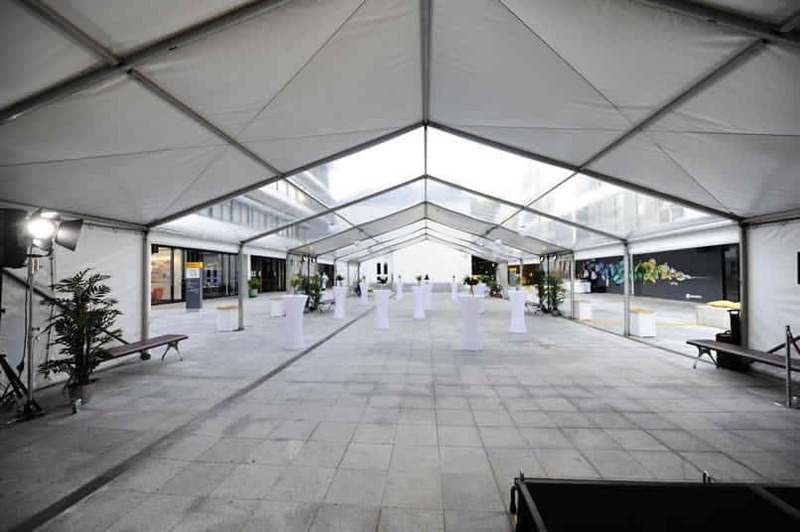 We use the market leading Hoecker marquees which are modular, and so they can be able to accommodate small or large gatherings. This means that the interior and dimensions of the marquee is designed to suit your event. The decoration varies from simple furnishing in corporate colours to your own to stand out equipment or creative lighting. 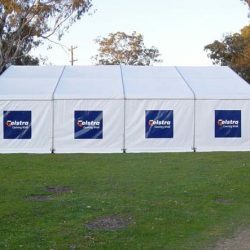 Here are some marquees that are commonly used for corporate events. We have other sizes if these are not suitable. You can find the full marquee hire range here. Below are some of things we hire with to give your event the feel and design of your choice. We also offer a comprehensive range of lighting. Our experienced staff can help you devise best and unique lighting scheme for your event. 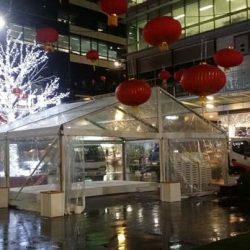 When a customer engages use for a corporate marquee hire, they normally want more than just a plain marquee. We offer an excellent range of linings that come in many colours. There are several corporate branding options available for you to choose from. The range of tables available with them is comprehensive. The flooring, dance floors and chairs all come with wide ranges to choose from. We also hire staging, picket fencing, portable loos, bar units, podiums and electric generators for use when you require them. The staged seating is done as per your requirements. This is why Walkers Party Hire should be your marquee expert of choice as you will lack nothing working with us. Your event will run as planned with the feel of your own choosing. The prices listed here are for the marquee hire only. 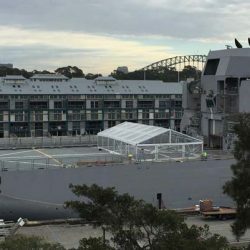 Some other factors like location, site access and timing need to be considered when planning and erecting a large temporary structure, and our team is well drilled and professional in their approach. Please speak to one of our friendly sales team on 02 9533 4429 to confirm your final installation cost. We can provide a firm quote over the phone and arrange an obligation free site visit to check site conditions if necessary.